Not very exfoliating now after using it for a few weeks - it has actually gone soft and is not what I was hoping for. Also, it seems to be falling apart at the edges. I think calling it a towel gives you the wrong idea of what this is, although I suppose you could use it dry. 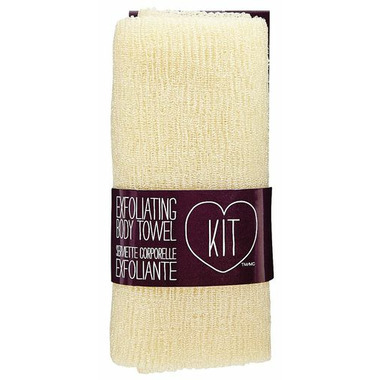 I found that it is best used as an exfoliating washcloth. Either way, it works great in the bath or shower - not on the face.